"This year, the industry has had a lot of changes," Carlson Choi, Vice President of Marketing and Digital Sales at Namco Bandai Games America said at the company's Gamer's Day press conference last week. "The way the consumer and our fans are consuming content -- that has changed." That's definitely the case, as the past year has seen a rise in the popularity of free-to-play games as well as fan-funded entertainment through Kickstarter. Namco has taken notice, and in turn, is looking into incorporating such popular new strategies into their own business. "But what hasn't changed is Namco Bandai Games' core commitment to our fans in the West," Choi added. Last year the company focused on three core pillars, Choi described, which consist of having a focused portfolio of great intellectual properties; taking those properties, diversifying them, and extending their reach in multiple ways; and having a strong sense of what the community wants. "We at Namco Bandai Games are not only here to listen to what you have to say, but deliver what you ask for and work with you to make sure we bring you the best game experience for you on a daily basis," he said. Choi referenced titles like Tekken, which has sold over 42 million units worldwide, 1.5 million of which come from the franchise's latest release, Tekken Tag Tournament 2. Ni No Kuni, with its 86 Metacritic score, also performed well for the company. 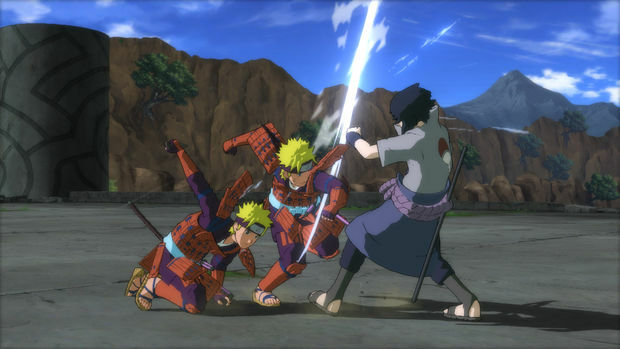 Then there's the Naruto series, whose latest iteration, Ultimate Ninja Storm 3, sold 1 million units in the US and Europe in 30 days, which Choi said validates the core IP pillar Namco has in place. "This is probably one of the most exciting franchises that we have and spent a lot of time developing in the western market," Choi said. The company is also celebrating the 15th anniversary of the Tales role-playing games, and to date the series has sold 15 million units worldwide. Tales of Xillia, already released in Japan, and will release this August on PlayStation 3. "I really believe this showcases the fact that Namco Bandai Games really puts a lot of time and energy in being the cornerstone of the JRPG market," Tales series producer Hideo Baba said on stage. When looking toward the digital front, Namco has had success so far, with PC's Dark Souls: Prepare to Die Edition garnering 300,000 downloads. This amplifies Namco's pillar of diversifying their content and outreach, Choi said, as the company is not only delivering content at brick-and-mortar stores, but digitally as well. "That is a great indication that our fans are responding and we are delivering what they ask for," Choi added. Tekken Card Tournament, released last week, offers a "different way of looking at the gaming experience," Choi explains. The game intertwines the famous fighting franchise with card battling, bringing two worlds together to create a new form of gaming, as Choi describes. 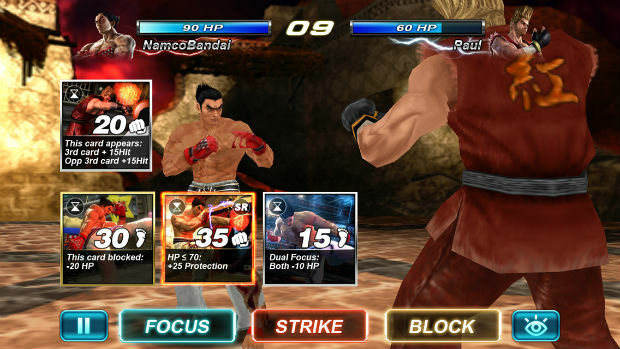 Tekken Card Tournament is available for iOS, Android and PC and offers cross-platform play. Choi referenced the aforementioned free-to-play distribution front, and said that while the consumption of content has changed, the monetization of that content has changed as well, and that free-to-play has really blown up in the past year. "That is something that has been exciting for us," Choi said. "As a global organization, we spent a year to take a look at this and say, 'how do we find ourselves in this business?'" The company’s first foray in free-to-play distribution is Ridge Racer Utopia, which is also a "free-to-drive, free-to-drift, and free-to-pulverize" title coming from the long-line of Ridge Racer games, and will help launch the company into the new form of monetization. Ridge Racer is the one franchise Namco will "be able to manage on our own and that has accompanied the launch of every major game platform release," Choi said, equating the new free-to-play strategy to that of a new console release. Along with Tales of Xillia, Namco's future holds From Software's Dark Souls II, the third iteration in the Souls series. Choi said that ever since its announcement last year, fans have been itching to learn more. 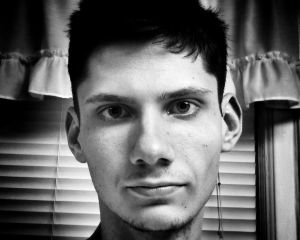 "Ever since the release of the teaser trailer, it received 12 million unique view in the first 30 days, and on average each one of these viewers have seen it three times," he said. "That means there are fans out there that are either addicted to the franchise, or they over-analyzed every frame of it -- which they have," Choi laughed. With so much going on for Namco, and with the abundance of changes taking place in the gaming industry, Choi continually referred back to the company's three core pillars during the event, and assured that they are as committed as ever in delivering to the fans first. The voice of the fans and a strong sense of community are still at the forefront for the company, and that's where the company is headed moving forward.